Telstra has conducted the first trial of 1 Tbps technology in Australia over 995km of an existing optical fiber network using Ericsson's equipment. 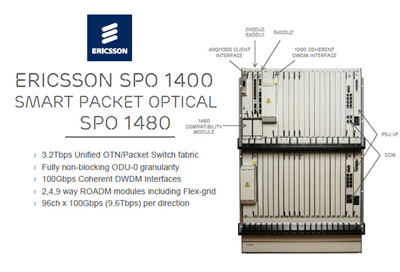 Ericsson recently announced it will provide Telstra with the SPO 1400, the latest packet optical transport platform (POTP) for the metro and the MHL 3000 for long-haul applications with 100Gbps service support. The trial tested a 1Tbps line card in the MHL 3000. The companies said this successful test over the 995 kilometer optical link between Sydney and Melbourne in Australia shows it is possible to deploy 1 Tbps technology in a real network environment. Furthermore, when 1 Tbps is commercialized, operators will be in a position to deploy it to meet their capacity requirements. "The trial has proven that our existing optical cable plant can support Tbps channels along with 40Gbps and 100 Gbps channels simultaneously on the same fibre, verifying that we have the ability to increase capacity on our existing fiber cables when required." Alessandro Pane, Head of Ericsson R&D Optical Transmission, says: "Like so many developed countries, Australia is a very technologically advanced market and Australians are sophisticated users of broadband and mobile technology. In addition, there is widespread smart phone, tablet, IPTV and HDTV take-up. Supporting all these services requires an ever-growing capacity in backhaul and inter-city transmission. 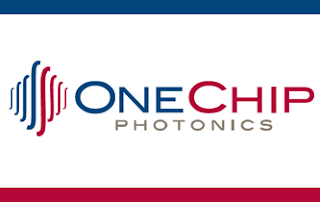 OneChip Photonics introduced a Photonic Integrated Circuit (PIC)-based 100 Gbps device that monolithically integrates all of the optical functions required for an optical transceiver into a single Indium Phosphide (InP)-based chip. All of the active components (Distributed Feedback “DFB” laser, Electro-Absorption Modulator “EAM,” and Waveguide Photodetector “WPD”) and passive components (Wavelength Division Multiplexing “WDM” combiner, splitter and Spot-Size Converter “SSC”) of the chip are, uniquely, integrated in one epitaxial growth step – without re-growth or post-growth modification of the epitaxial material. The company said its Multi-Guide Vertical Integration (MGVI)-based PICs will enable transceiver manufacturers to produce high-speed, low-power and small-size modules for Data Center Interconnect (DCI) applications. The MGVI platform in Indium Phosphide is based on the same process that inherently produces the best and fastest Heterojunction Bipolar Transistors (HBTs) used in Radio Frequency Integrated Circuits (RFICs). As such, the company also will be able to integrate electronics, such as Transimpedance Amplifiers (TIAs) and modulator drivers, within a commercially available and volume-scalable process. The silicon photonics dream of leveraging high-volume electronic chip production, while combining photonics and electronics onto the same substrate, is ironically best realized in Indium Phosphide. NeoPhotonics announced a new 100G Variable Power Intradyne Coherent Receiver (VICR) that integrates a variable optical attenuator (VOA) on the signal path and is designed to increase dynamic range and improve the optical signal to noise ratio (OSNR) for both single channel and multiple coincident signals. 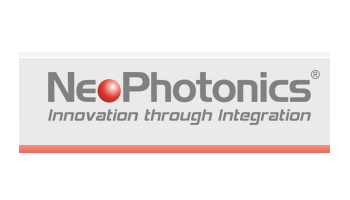 NeoPhotonics said this capability is designed to enable service providers to better manage network capacity in colorless coherent networks. The company is currently sampling the VICR and expects to enter general availability with this product in the second half of 2013. Menara Networks introduced a 100G "System-in-a-Module" that integrates OTU4 framing, ultra FEC, full C-band tunability and 100GE performance monitoring in a 100% MSA compliant CFP form factor with a standard CAUI interface. 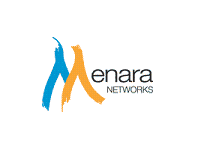 "Menara Networks continues on its march to simplify the optical network and help carriers and data center operators bridge the gap between the growing network cost and the declining revenue per bit," said Siraj Nour ElAhmadi, Menara Co-Founder and CEO. "We continue to believe that WDM transmission is a cost and not a revenue center to service providers. Our latest DWDM 100G "System-in-a-module" OTN CFP brings the same level of disruption to the economics, size and power of 100G WDM transmission as our OTN XFP did to 10G transmission." Menara's patented "System-in-a-Module" maps a 100GE payload into an ITU G.709 compliant OTU4 frame while offering non-intrusive monitoring of the Ethernet frame statistics. ITU G.975.1 compliant forward error correction is supported with configurable coding gain up to 9.4dB for use over amplified DWDM systems. The OTU4 signal is then transmitted using optical duo-binary signal (ODB) dispersion tolerant modulation over 4 optical channels on the ITU 50 GHz grid. Each of the four channels can be independently tuned over any of the 102 channels supported on ITU 50 GHz grid. Furthermore, Menara offers a PRBS line performance checker/generator, an extensive set of OTU4 Performance monitoring pints and alarms and has a built-in OTN SNMP MIB accessible through the front Ethernet face plate for ease of configuration and management. Menara confirmed that it has received an order from a Tier-1 system vendor for this product. Menara is also announcing the Armada 1000-GM, a 1RU 100G WDM transport solution that offers 100G transponder and 10G/40G muxponder functions into a tunable CFP based OTU4 100G uplink. 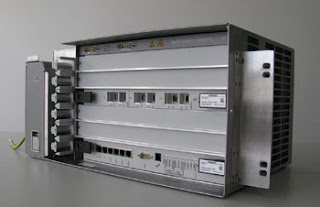 The compact Armada 1000-GM also includes integrated EDFA optical amplifiers and dispersion compensating modules offering a complete 100G DWDM transmission solution for metro and data center interconnection applications in a compact 1 RU footprint. IQ Networks, a leading facility-based fiber Internet Service Provider in Iraq, has selected Menara Networks transponder-less DWDM solution to build a state-of-the-art national 10 Gbps IP over DWDM network in Iraq. Specifically, IQ Networks will use Menara Networks' "System-in-a-Module" Tunable OTN XFP transceivers for complete DWDM transponder replacement. The small form factor MSA compliant pluggable modules offer high performance optical networking functions including integrated ITU-T G.709 OTU-2 framing, OTN alarms and performance monitoring processing, Forward Error Correction for OSNR gain, automatic receiver threshold adaptation and SBS suppression for up to 2,000 km transmission. 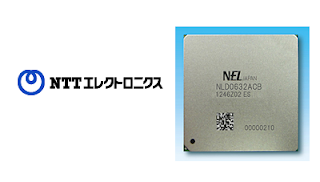 NTT Electronics (NEL) released a 100G Optical Transport Network (OTN) Framer with very low power dissipation. The new OTN Framer can be used alongside NEL's 100G Digital Coherent Signal Processor (DSP) and is capable of operation in multiple modes including 100G Transponder, 10 x 10G Muxponder, and 100G Regenerator. NEL said its new OTN Framer employs advanced CMOS technology to provide framing solutions, fully compliant with the ITU-T G.709 standard, with low power dissipation in the 10 W to 20 W range depending on the selected mode of operation. It also incorporates high-performance Hard-Decision (HD) FEC within a standard 7% OTN overhead. It supports a unique Enhanced FEC, in addition to the Standard GFEC, to provide the improved net coding gain by more than 3 dB. The OTN Framer achieves ultimate performance of the SD-FEC when operated in conjunction with NEL's flagship 100G DSP. Verizon is rolling out Networkfleet management solution over the Verizon Wireless network using technology from Hughes Telematics, which Verizon acquired last year. Networkfleet will debut in Verizon's U.S. service fleet for improved monitoring, management and route optimization capabilities. The Networkfleet telematics solution combines in-vehicle hardware and a Web-based application to store, view and analyze data on specific vehicles as well as overall fleet performance. Vehicles are equipped with a GPS device that sends information to the Networkfleet Data Center over a secure wireless network. Key features include GPS fleet tracking, asset tracking, fleet maps, vehicle diagnostics with alerts, roadside assistance, preventative maintenance and other fleet management tools. Verizon is deploying Networkfleet to an initial 18,000 company vehicles in its fleet this year to expedite customer service, while increasing productivity and cost efficiencies. "As one of the largest commercial fleet operators in the United States, Verizon recognizes the challenges and opportunities associated with managing fleets, and we continue to shape our offerings to help customers turn rolling assets into a competitive business advantage," said David Small, senior vice president and chief platform officer for Verizon Enterprise Solutions. "We see the fleet management space as a tremendous opportunity. We will continue to work with our ecosystem to serve this growing market, and we are committed to innovating in the machine-to-machine space." Verion said its Networkfleet solution could be used in many industries, such as transportation, energy & utilities, government, retail, construction, etc. Telefónica I+D, the R&D labs of Telefónica, has successfully tested the integration of Nokia Siemens Networks’ FlexiGrid technology with a standards-based control system for optical networks. NSN's FlexiGrid is based on the company's hiT 7300 DWDM platform. To increase network efficiency, Nokia Siemens Networks integrated its FlexiGrid technology as well as its 100G technology with an optical transport control system based on GMPLS. The company said its architecture increased spectral efficiency by 50 percent. The implementation enables the automated operation of the network and increases the reliability of service delivery as well as the flexibility of service provisioning. The test also reduced the fragmentation of the optical transport network. The trial was conducted as part of Telefónica’s Innovation Program which focuses on network evolution, and its being implemented by the Research and Development team together with the Global Chief Technology Office. On December 3, 2012, Nokia Siemens Networks and Marlin Equity Partners announced that they had reached an agreement for Nokia Siemens Networks to sell its Optical Networks business unit to Marlin Equity Partners. The announcement outlined that the deal would result in the unit being established as an independent company with the goal of becoming a leading provider in the optical market. Polatis reported strong and growing demand for their latest Series 6000 192x192 optical switch, which was launched last year at OFC/NFOEC, leading the company to triple capacity at its European manufacturing plants. "Our customers are telling us that traditional data center aggregation solutions cannot keep up with growing capacity demands" said Gerald Wesel, CEO Polatis, Inc. "The advent of optical circuit switch elements that integrate seamlessly with Software-Defined Network (SDN) control planes is poised to transform data centers by enabling new approaches that enhance performance while reducing costs. Polatis switches are ideally suited for the data center market as they have the best performance in the industry with exceptionally low loss and latency, fast switching and low power consumption."